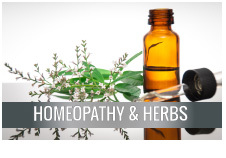 Homeopathy is a system of medicine, which was founded by the German physician Dr. Hahnemann in 1790. Dr. Hahnemann was a very famous physician of the then dominant school of medicine. He was a successful practitioner, but deep within he was very troubled by the limited amount of useful medical knowledge of his times. He realized that, very ironically, the ‘medical science’ is not based on any fundamental scientific laws and the theories on which the medicine of his time was based were vague and hypothetical. He discovered the treatment often caused more harm than good. So he left his medical practice and started translation work instead.